Creepy Crawlers Thingmaker: The Easy Bake Oven gets a bad reputation for allowing children to cook food in a mini-oven that reached up to 350 degrees, but that toy was not nearly as dangerous as Mattel's Creepy Crawler Thingmaker. The Thingmaker had children create small, plastic bugs and spiders. While the process was exciting for children, it was also extremely unsafe since it had children use a hot plate to melt plastic. As you may have guessed, this game left many children burned and scarred. Sounds fun, right? A game that involved the boiling of toxic material surely never should've been marketed to children. 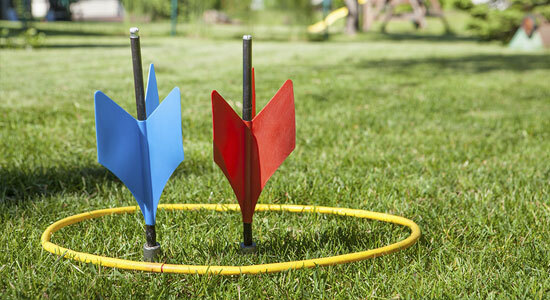 Lawn Darts: Lawn Darts was a backyard game that had players throw steel-tipped foot-long darts toward plastic circles on the ground. These darts weren't child's play, though, since they apparently had enough force to pierce a skull. After many injuries and even a few deaths, the Consumer Product Safety Commission was forced to ban lawn darts in 1988. Moon Shoes: Shoes that stimulated the feeling of walking on the moon were the craze of the 70s. However, they were made of exposed metal springs, which led to ankle injuries. Safer, plastic bungee springs, were created in the 90s. 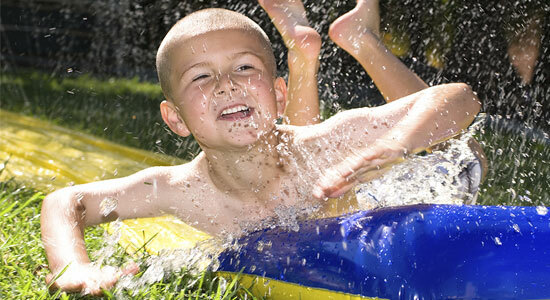 Slip 'N Slide: During summer months, the Slip 'N Slide was one of the most popular outdoor activities when children didn't have access to a pool on a hot day. From 1961 to 1992, more than 9 million Slip 'N Slides were sold. The problem was that the people buying Slip 'N Slides were frequently too big to be using them. Teenagers and adults would slide down and stop too abruptly at the end, which left them with spinal cord injuries.In the early 70s, two people broke their necks and one person died using the Slip ‘N Slide. By the end of the 80s, many other people had sustained neck injuries. Surprisingly, after being banned in the early 90s, the toy made a comeback in the early 2000s. We still would not recommend buying one, especially if you are over the age of 12. Battlestar Galactica Colonial Viper: In 1978, Mattel created this vehicle toy for the Battlestar Galactica series. This specific model had a firing missile that children could shoot. However, in 1978, a 4-year-old boy accidentally shot part of the toy into his mouth and choked to death. After his family filed a lawsuit against Mattel, the toy was discontinued. This toy is also responsible for the choking hazard warnings required on all of today's toys. Footsie Toy: The footsie toy was a popular toy of the early 70s made of a small ring connected to a string with a ball on the end of it. Children would slip their ankle in the ring and jump over the cord again and again. Though seemingly innocent, this toy was responsible for many trip and fall accidents. 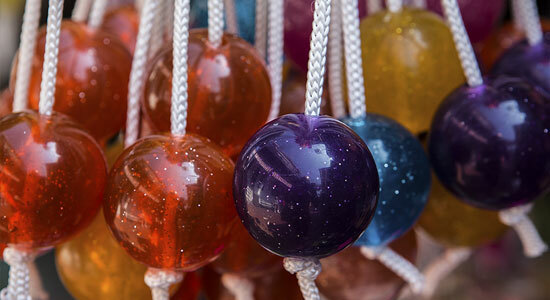 Clackers: Clackers were a popular toy in the late 60s and early 70s. They were made of two plastic balls tied to a string with a ring for your finger. With their finger in the ring, children would move their hand to try to swing the balls together to make a clacking sound. This toy not only looked like a weapon, but it also acted as one too. In an attempt to clack the balls together, children hit themselves or others in the face causing black eyes, nose bleeds, and many other injuries. The balls also sometimes cracked if they struck each other too hard. Eventually, they were taken off the market after causing too many injuries. While these cherished toys of yesteryear may have been marketed to children, they were sometimes a little too dangerous for their intended audience. As we look back on all of these wonderful toys, we can safely say that kids these days are lucky to not know what they're missing! Sources: “13 of the Most Dangerous Toys Ever Made.” Rob Bricken. October 16, 2014. 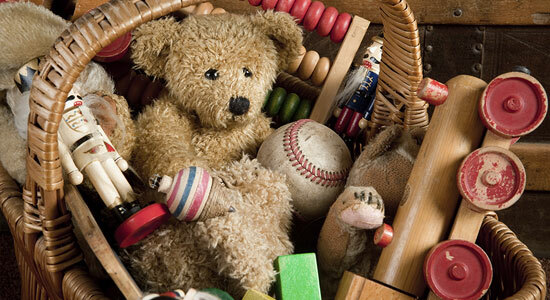 “10 Classic Toys That Could Kill You.” Laurie L. Dove. January 19, 2016. “Toys From the 1960s-1970s That Would Never Pass Modern Safety Tests…Or Are Just Too Lame For Today’s Kids.” Consumer Grouch. December 19, 2013.